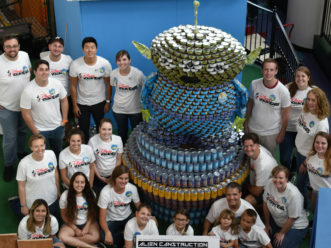 LAKE BUENA VISTA, Fla., Oct. 16, 2018 – In a quest to inspire the Central Florida community to reach to infinity and beyond in helping those in need, Disney VoluntEARS created a larger-than-life sculpture of an iconic attraction in Toy Story Land at Disney’s Hollywood Studios using more than 5,000 canned food items. 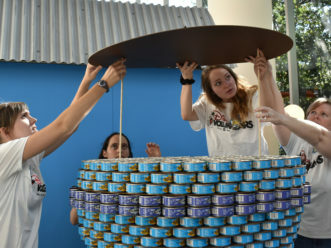 Their out-of-this-world creation is part of CANstruction Orlando, an annual competition hosted by Central Florida’s architectural and engineering community, which is celebrating its 25th anniversary. 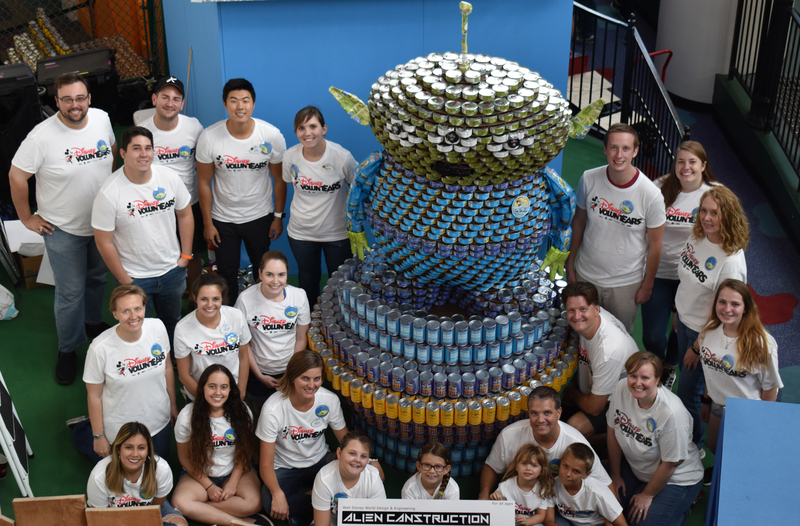 Disney VoluntEARS drew some extraterrestrial inspiration from Toy Story Land at Disney’s Hollywood Studios to bring their alien CANstruction to life. 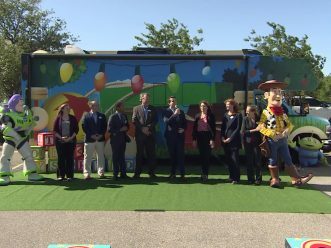 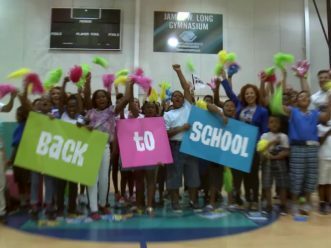 Organizations throughout the community banded with Disney in this year’s event. 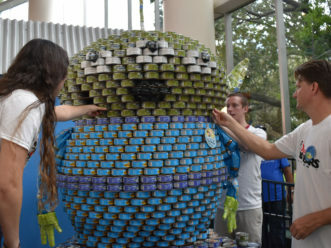 These CANtastic food sculptures will be on display through Sunday, Oct. 28, at the Orlando Science Center. 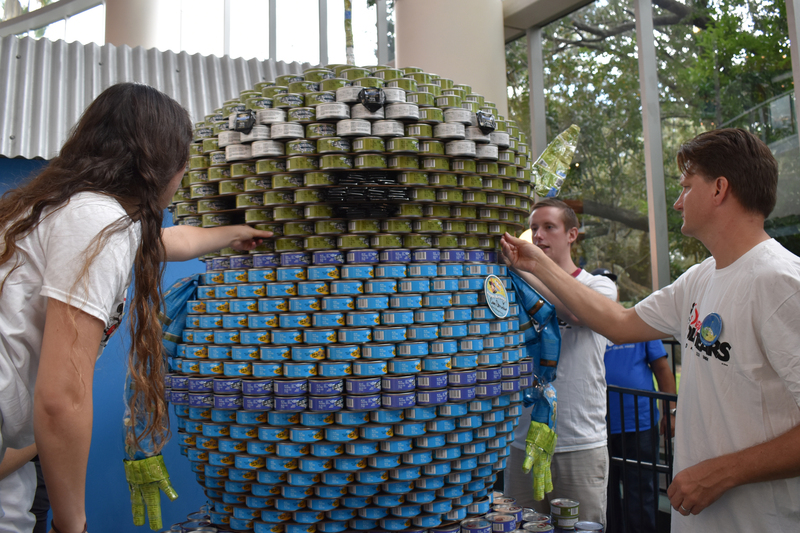 After the competition, the nonperishable food is donated to Second Harvest Food Bank of Central Florida. 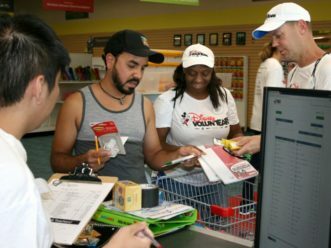 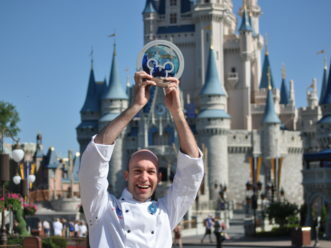 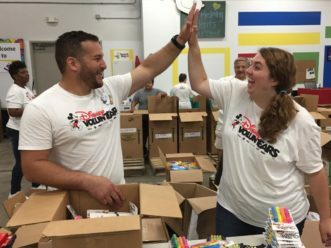 Walt Disney World Resort and its Cast Members have supported Second Harvest Food Bank for the past 26 years, including distributing unused, prepared food from restaurants and conventions through the Disney Harvest Program. 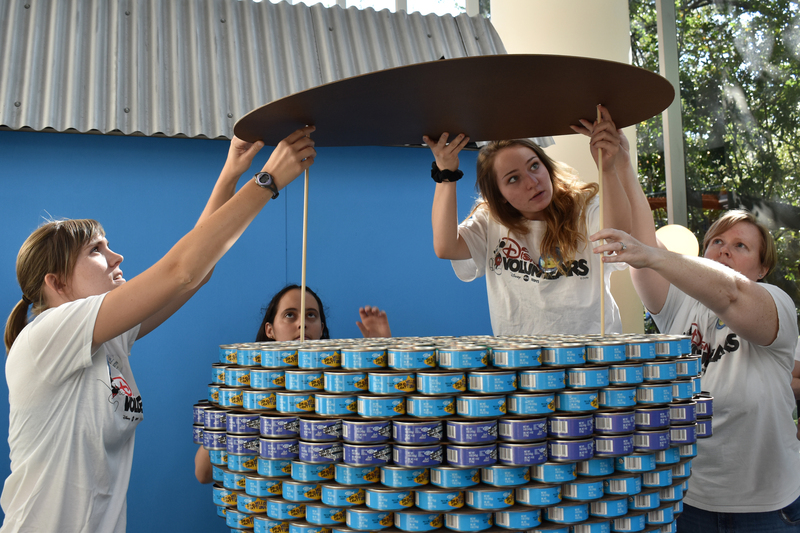 Since 2012, Disney VoluntEARS have donated some 45,000 food items through the annual CANstruction Orlando events.